The Gold Coast Training College is located in the Southport CBD and provides nationally recognised training on Queensland’s Gold Coast and throughout Australia. We understand the importance of providing training that is competency based and meets adult learning needs. Our training is relevant to industry and provides our students with skills and knowledge that can be immediately applied in the job role. At the Gold Coast Training College students receive quality training and assessment services that result in outcomes that exceed industry standards. With Campuses in both Southport and Tweed Heads your local trainer is able to provide you with high quality training outcomes. That is why we are in business. We believe that learning is natural and that learning should be fun. We value creativity, individuality and excellence in adult learning. We train in environments that are conducive to adult learning and fitting customers need. That is why we are different. 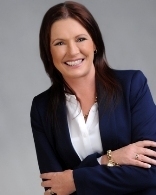 Having an extensive background within the vocational education and training industry, Rae-Anne McMahon founded the Gold Coast Training College in 2011. From humble beginnings the Gold Coast Training College has seen substantial growth and continues to expand without losing focus on quality outcomes. We only engage instructors that share our vision of excellence. Crucial to our business success is our instructors who hold current trainer qualifications and continue to upskill to provide the best possible service. Each instructor has over 15 years industry experience and comes from a cross section of industries including Business, Management, Corrective Services, Immigration Detention, Police including Federal Police and the Australian Defence Force. Are you a qualified trainer and assessor with over 15 years experience, and share our vision of excellence. Or perhaps an instructional designer or RTO professional interested in working with the Gold Coast Training College. We would love to hear from you. Please forward your details and areas of expertise directly to the college using the above contact us form.